Freezing fresh eggs is easy, but with hens in the backyard why would a chicken keeper do such a thing? 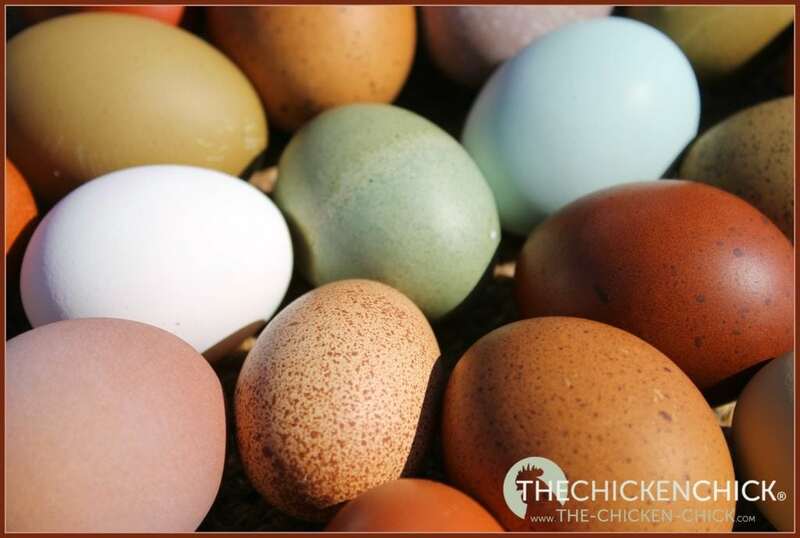 Unfortunately, the egg supply is limited by numerous factors that negatively impact egg production including hot weather, stress from new additions to the flock, molting, advancing age and decreased daylight in autumn and winter. Freezing eggs when the hens are firing on all cylinders ensures a steady supply of eggs in the lean months. 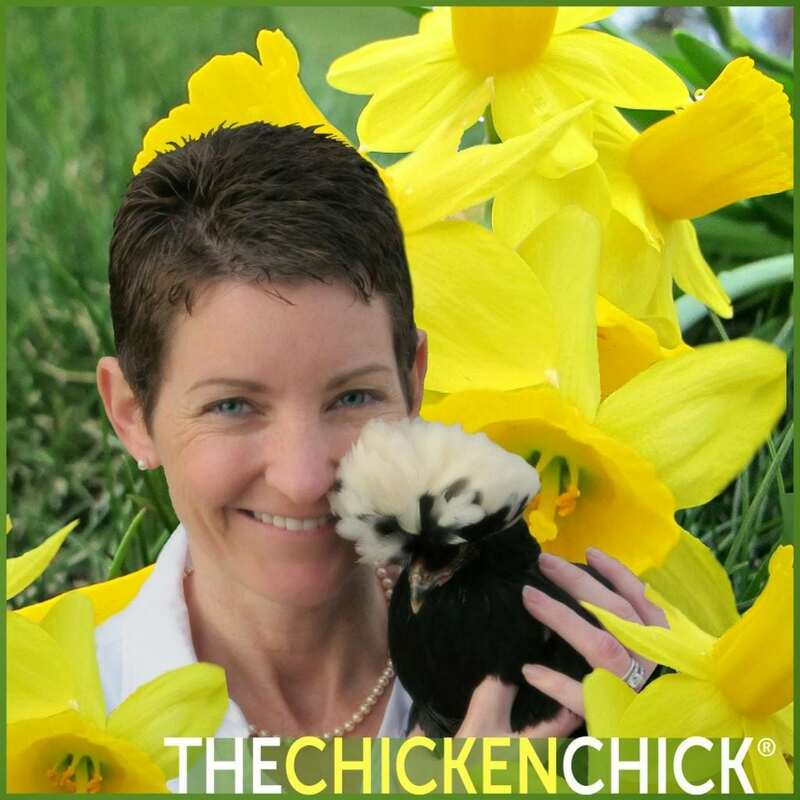 If you have chickens in your backyard, there is never an excuse for getting caught buying eggs from the grocery store! 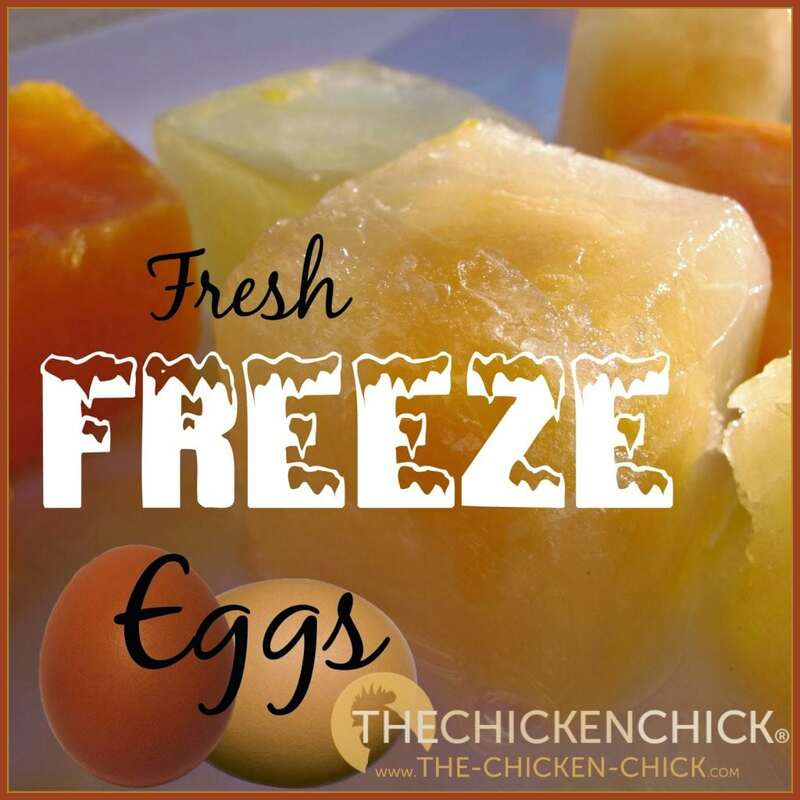 So, let’s discuss how to freeze and use fresh eggs! 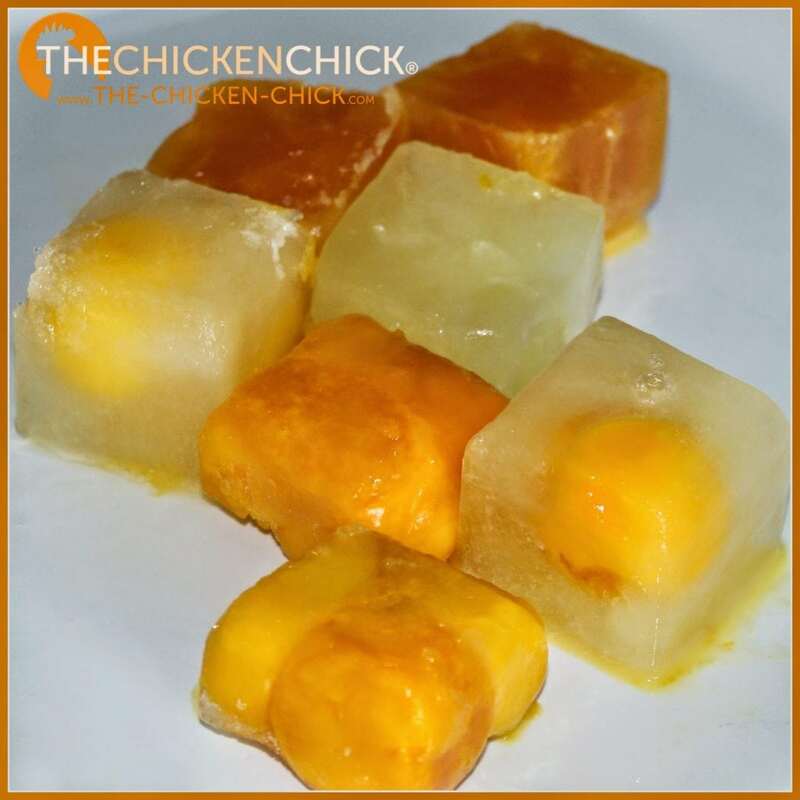 To remove frozen egg cubes from trays, run tepid water over the bottom of the ice cube tray. 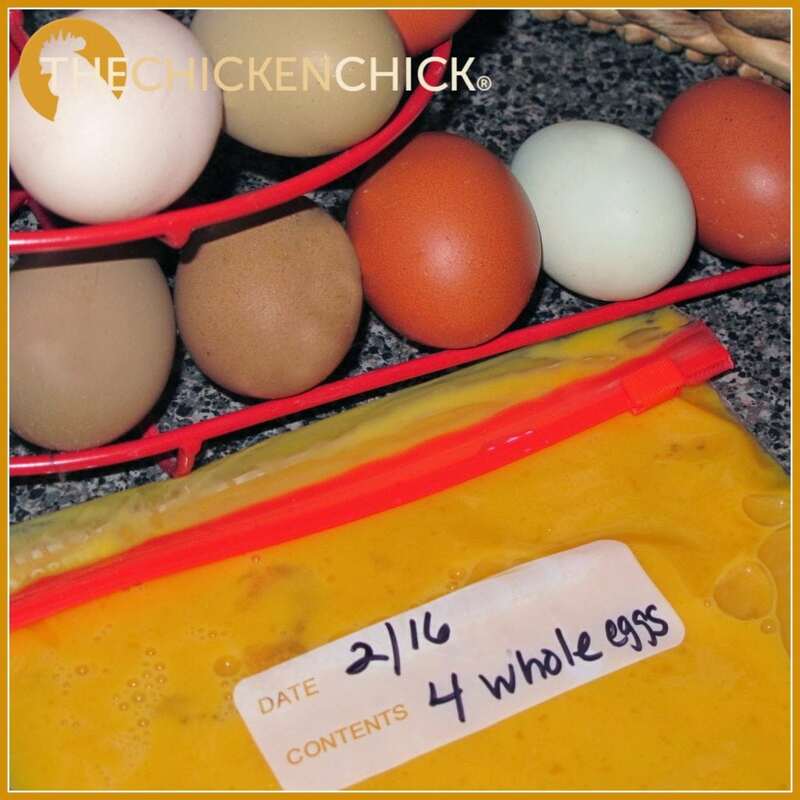 Place frozen eggs cubes or liquid eggs in zip top bags or freezer-safe containers in portioned amounts, noting date and contents. 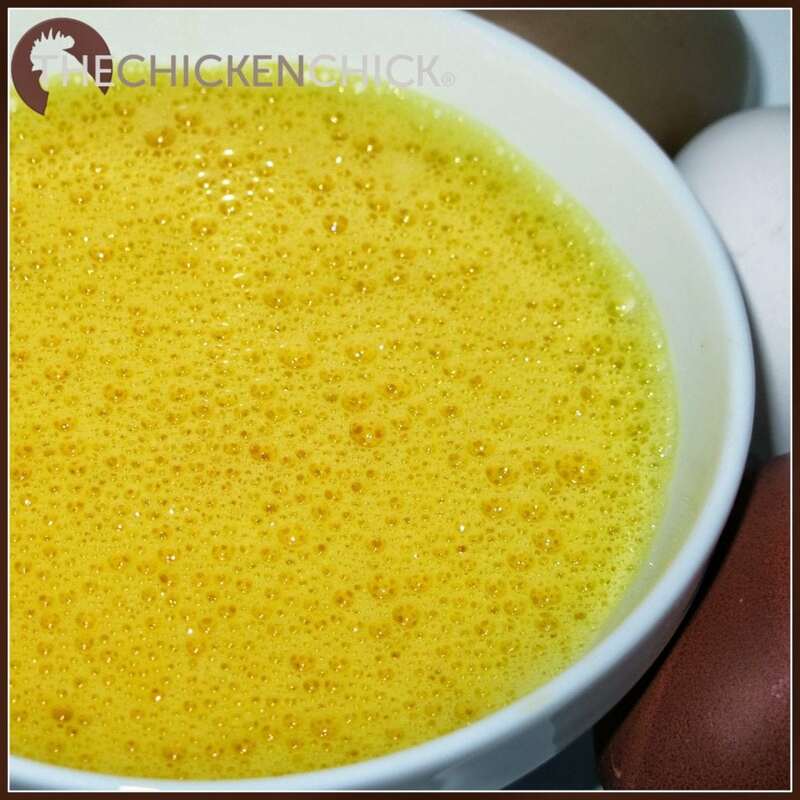 I don’t add anything to the fresh eggs when freezing, but because yolks can gel or thicken when frozen, some cooks add salt or sugar before freezing yolks or whole, scrambled eggs to retard the yolk gelling process. 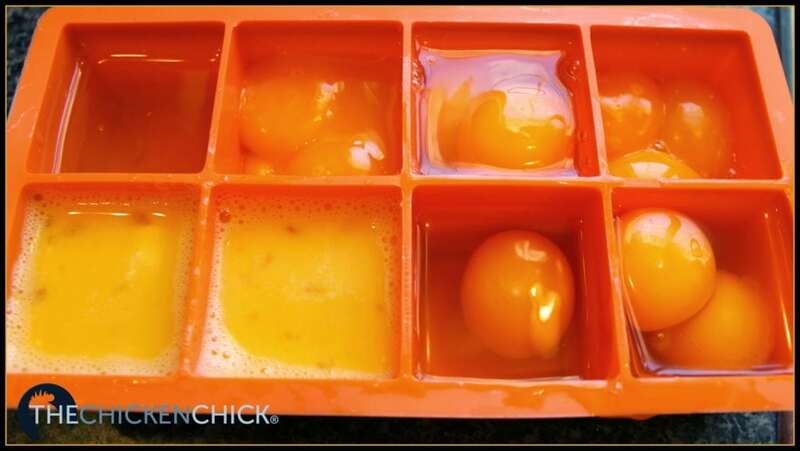 Since the average large egg is 2 ounces, I like to use these 2 ounce ice cube trays for portioning, but freezer-safe containers or zip top bags can be used as well. 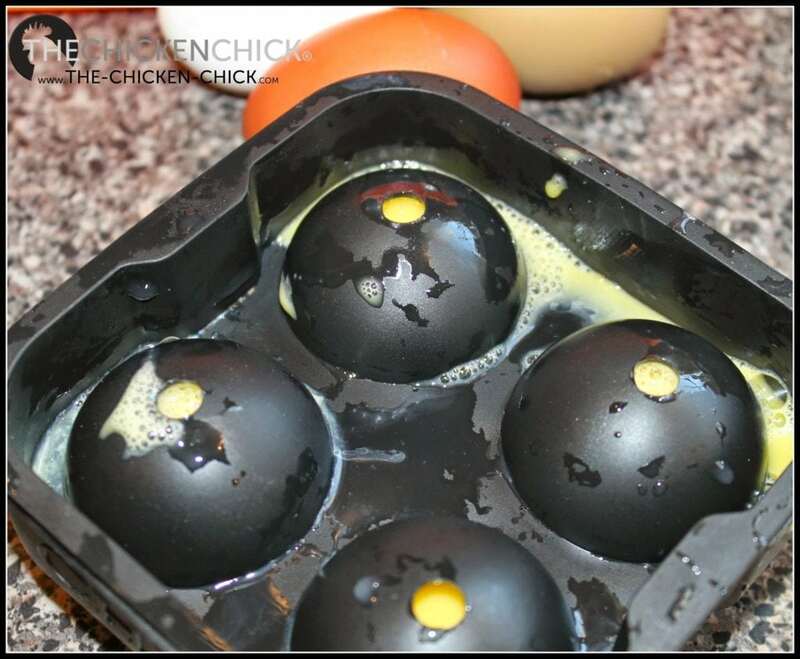 I couldn’t resist making frozen eggs using these round, “Chillz,” ice cube trays we got for Christmas! 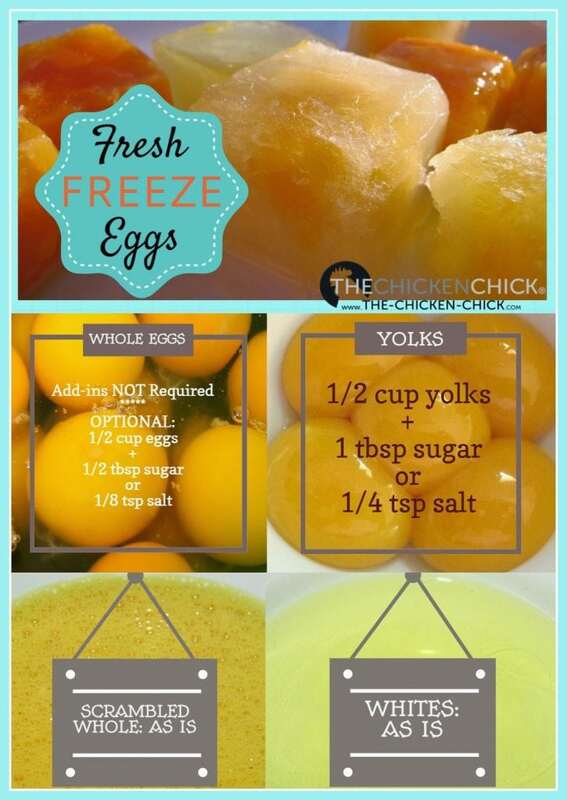 Never freeze eggs inside the shell. 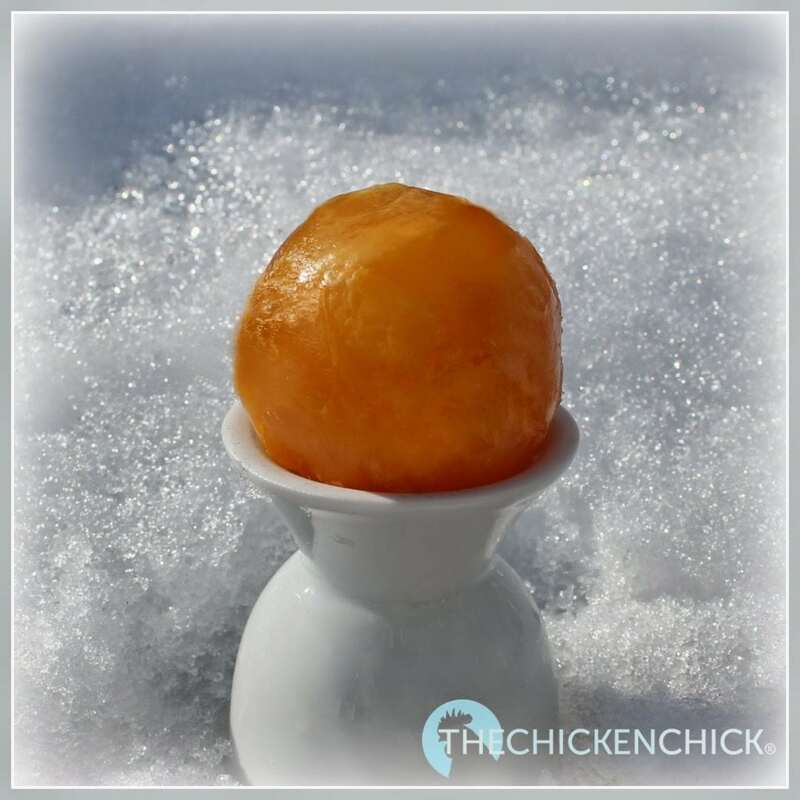 Never re-freeze a frozen egg after thawing. 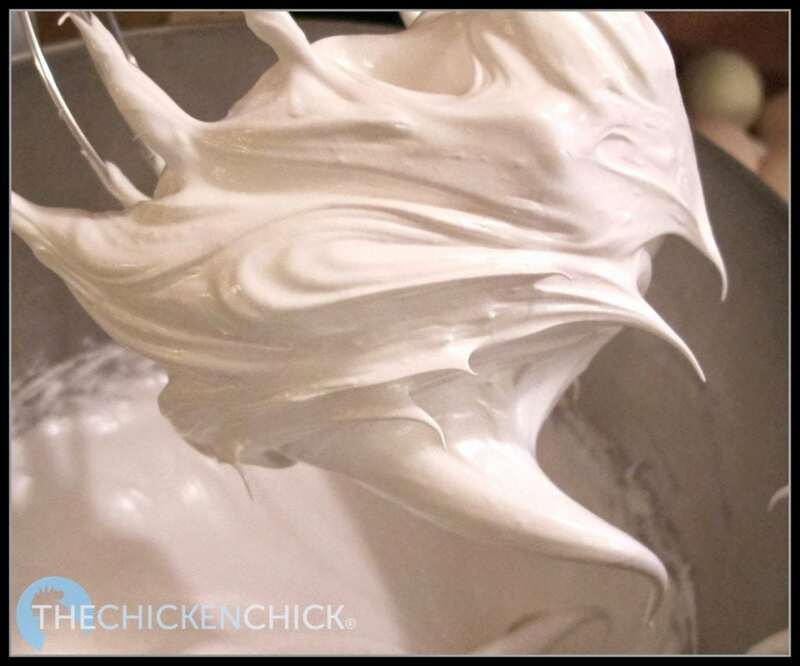 Previously frozen, thawed egg white can be allowed to sit for 20-30 minutes at room temperature before whipping for use in recipes such as tiramisu. 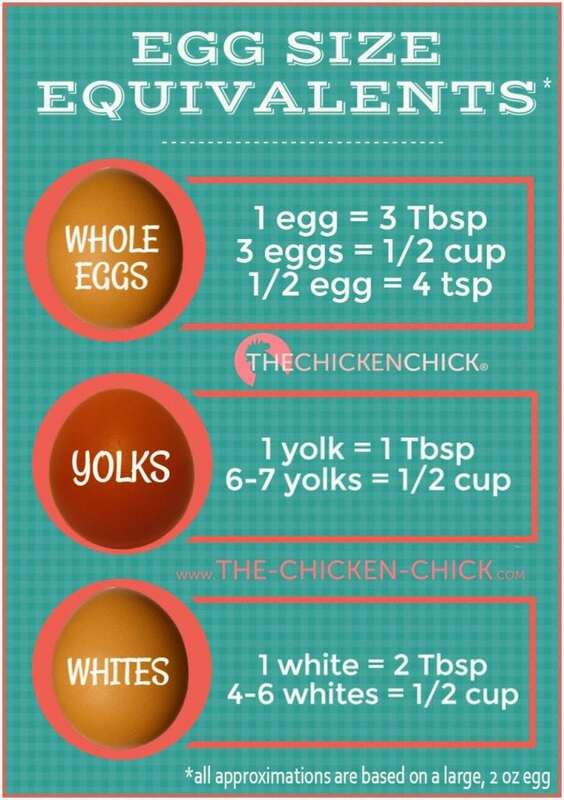 I use eggs primarily for scrambling and baked dishes like Pizza Rustica, quiche, quick breads and cookies where precise measurements aren’t critical, but when they are (custards, cakes, soufflés, etc) refer to the chart below for egg equivalents. Always fully cook eggs to 160°F. 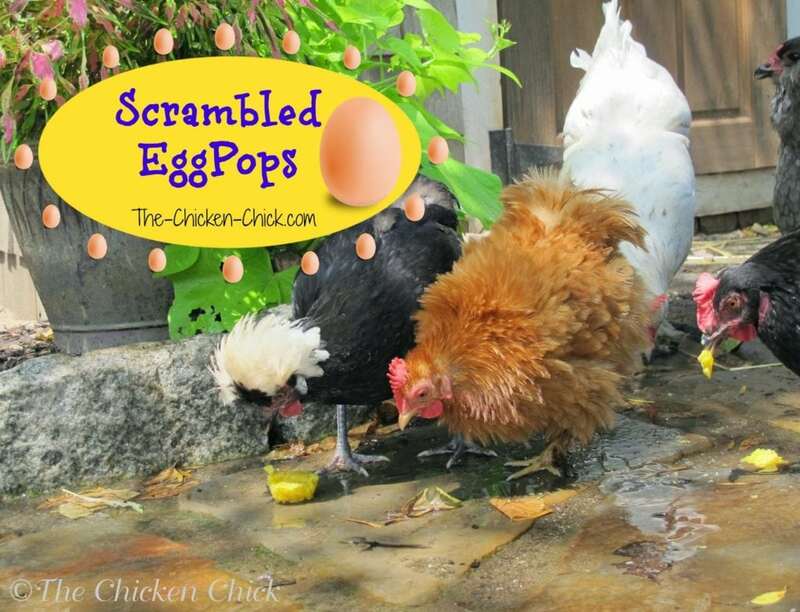 Backyard fresh eggs that are exceptionally dirty from the nest box (poop happens) are best frozen or used immediately after collecting, washing and drying. There are then no food safety worries about removing the bloom, bacteria getting inside the egg or shelf life. 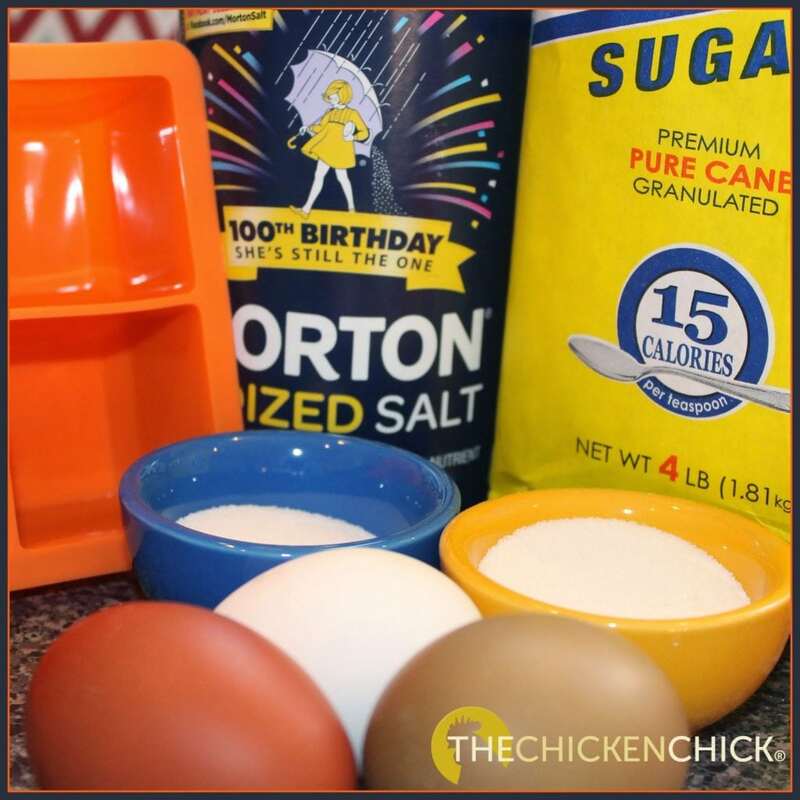 Read how to keep eggs clean in this article! 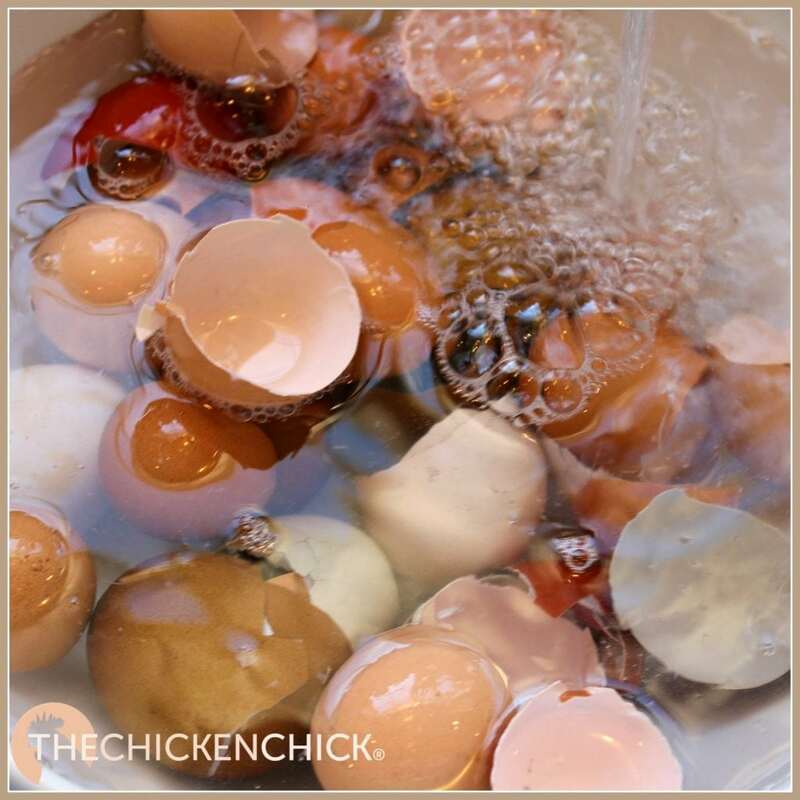 Eggshells can be washed, air-dried, crushed lightly then mixed into the oyster shell container for a supplemental calcium source. 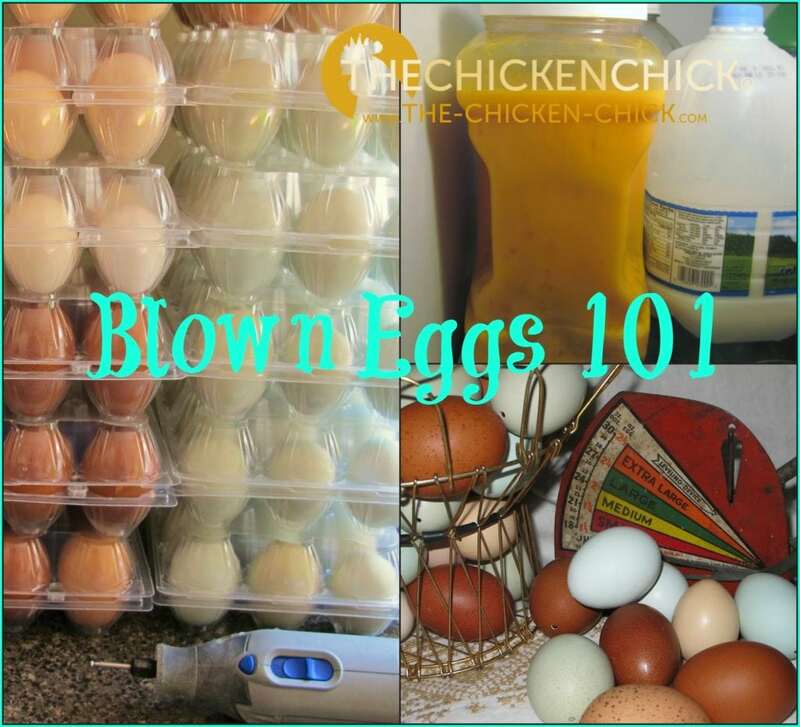 When blowing eggs for Easter egg decorating, crafting or decorating, the egg contents can be frozen for personal use or as a high protein treat for chickens during molting season or in the heat of summer as Scrambled EggPops! Didn’t realize eggs could be frozen. Thanks for info, Kathy! I got a silicone ice cube tray as this looked like a better idea than the plastic bags I’ve used previously. 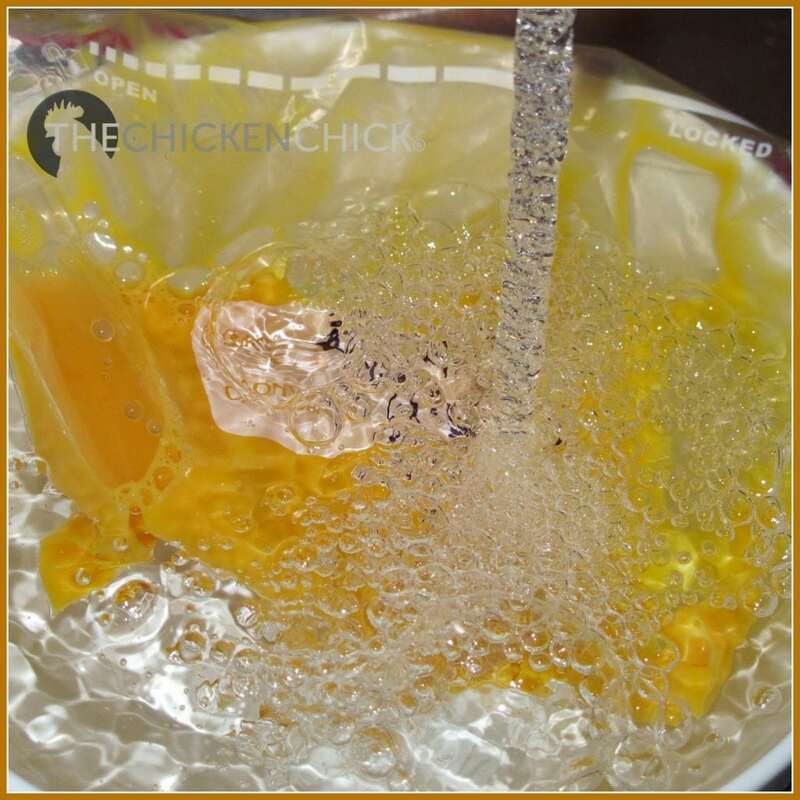 Question – how to get the frozen eggs out of the trays?